The new version of the Violence Against Women Act bill is up for reauthorization (H.R. 6545) and could mean some landmark steps in the fight to bring visibility and safety to Native American women. As detailed in the Last Real Indians blog, this bill would allow tribal jurisdiction to expand to non-Indians who have committed violent acts against Native American women, who typically go unpunished. 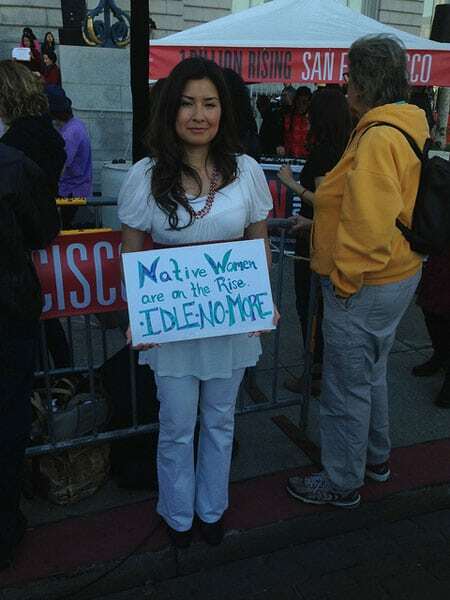 Native American women have been fighting to be heard on this issue for many years. Social media, especially Twitter, has become a powerful outlet to champion Native rights. Other relevant social media hashtags and topics include #NativeTwitter, #NDN (#NotDeadNative), and #MMIW (missing and murdered indigenous women). The avenue of social media has amplified traditional protest methods like marches and awareness around legislation. Similar to other social justice or cultural communities online, social media also provides a sense of community for marginalized groups regardless of location. The prevalence of social media communities surrounding underrepresented spotlights the ongoing need to engage and listen to those who are impacted by systemic issues in our nation. Kelly Phipps is a fundraising manager for a nonprofit in California. Kelly has worked extensively on fundraising events, community donations, annual giving and strategic planning. She is passionate about empowering young women of color to make a difference in the nonprofit sector and analyzing the impacts of social justice topics on nonprofit leadership.